This topic contains 3 replies, has 3 voices, and was last updated by Jason Louth 5 months, 1 week ago. 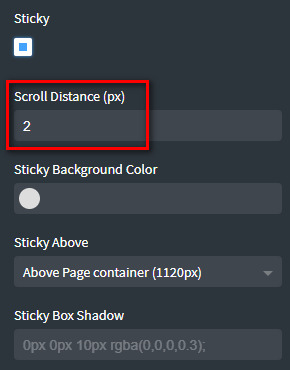 1/ Create your header and enabled the Sticky option. 3/ add your logo in the left row and your menu in the right row (not in the middle one). Great tutorial! 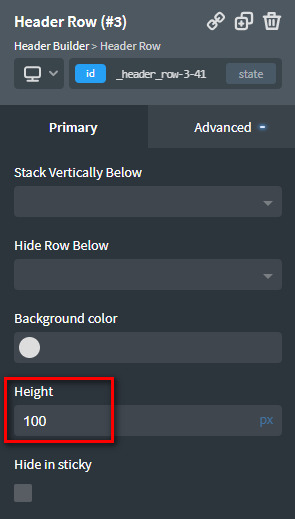 I'm having trouble changing the background color, when it becomes sticky. For example, my menu is gray, but when it goes stick I want the background to turn white with some transparency. Is this possible? I'm having difficulty with the full sized header (prior to shrinking). It's sized perfectly, but it's fully transparent. I've tried adding a background color with .75 opacity in many places, but it never appears. Can anyone let me know how to have the full sized header include a background color with opacity? Thanks!